Home › Roofing › How much does it cost to roof a house? Roof replacement is considered one of the costliest home repair an owner can make. But a question always arises in mind: “how much should a roof cost?” Usually contractors have to take care of a number of factors including size of the house, the pitch, accessibility and the cost of material required to determine the new roof’s price. Due to these factors, new roof’s price can drastically vary. In California, the average cost of new asphalt shingle roof is minimum $5000 to the most commonly roofing material used in America which can cost up to $25000+ (for high end roofs). The average price sums up to $12000. In 2014, on an average range of $11095 is required which rounds up to $12000 to tear off the old roof and replace it with a new one, reported by an online source. For this prices vary according to the location of the house. The material, style, pitch, and condition of a roof will affect its cost. Roofers charge as per roofing square, say for a normal 10 by 10 feet area (100 sq.ft. ), equals one roofing square. With the houses with higher roofs, the charge is higher as it is difficult to access it. When it comes to pricing, another variable on which it is dependent is the roofs pitch or slope. All the factors including high pitch, low pitch or no pitch roofs affect roofs pricing. A roof with a ratio of 7:12 (7-height, 12-length) pitches or higher makes it difficult for the replacement team to walk on it. It requires extra safety equipments and harnesses to make it walk-able. 7:12 inches of roof means that it runs 12 inches horizontally and 7 inches vertically. For the pitches above 7:12 inches, the company usually charges higher rates because the amount comes out of the teams insurance cost given by the company. All this calculation gives you better answer to the question how much to replace roof? The cost of shingle roof per square foot costs from$5.43 to $7.05, as per the online source which provides house improvement projects average cost. This means that the total cost equates to be around $1086 to $1409 for a 200 sq.ft area. It indeed requires heavy labor. The estimated cost and labor for a roof of, say 12 square ft. ranges from $4100 to $6000 in the country across the markets. There are various roofs repairing service which provides online as well as door to door customer service with a variety of affordable options to choose from followed by metal, slate, tiles and other such materials and they can also tell you need to spend how much for new roof. For a metal roof, material might cost upto $350 to $1500. This rate costs per 100 sq.ft. An average of $12500 for metal roof installation is usually required. For metal roofs, rates are twice than the asphalt shingles. As compared to slates, metallic roof’s rate is five time than a slate roof. Shingles usually last for at least 20+ years whereas tiles and metals last for about 50+ years when ones installed on a house roof and also play a significant role to determine the type of roof required by the customer. Water damage adds up to the final roofing project cost. Water damage is not noticeable at times till the roofer removes shingles. Water damage can change the whole project to replacement from just repair. 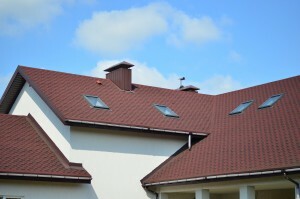 Chimneys or skylights also have a major effect on roofing price. Houses with chimneys and skylights increase the project cost. Roofers then have to work around them or even replace them with a new one. It costs around $200 to $500 for chimney repairs. If these are repaired around the skylight, it can cost on average ranging from $300 to $500 and can add to average roof replacement cost. Shingling over the existing roof can be an alternate of its replacement which also cuts down the actual cost. But it is typically lower in its lifespan (by 20%). Usually costs vary when it comes to roofing a house. It is totally dependent on the location and the size of the house. So these are the various factors that help you determining the average cost to replace a roof.